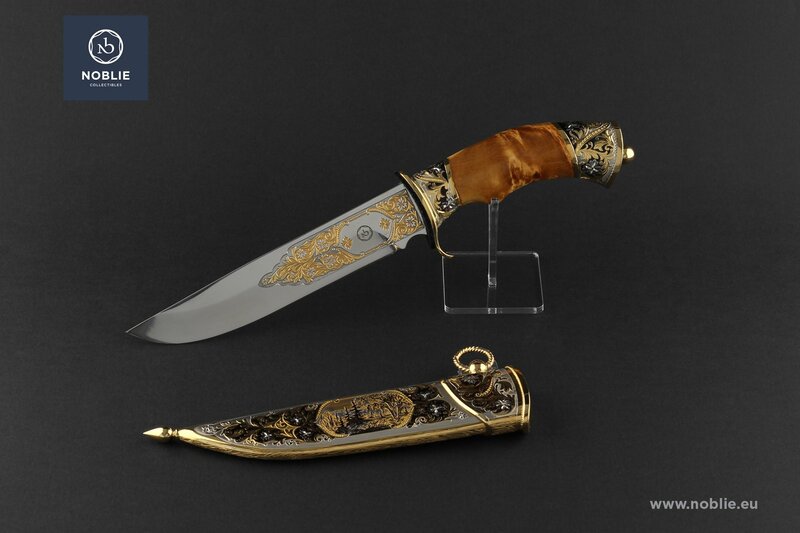 Blade of stainless steel 440C with gilded ornamental engraving on the both sides. 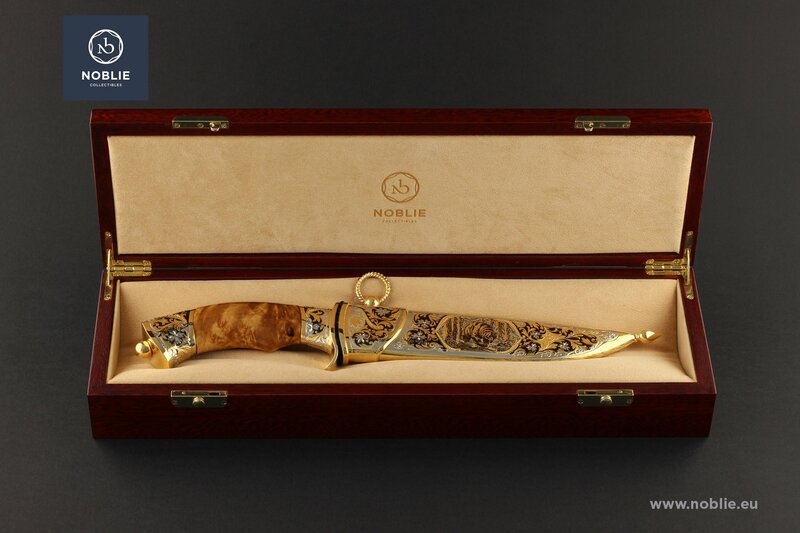 The Handle is made of metal and wooden parts. Gilded and decorated brass guard. 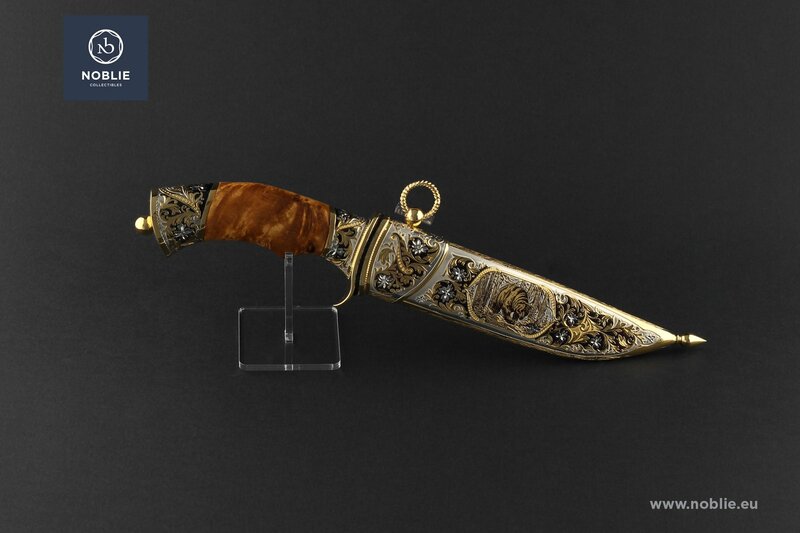 Birch burl wooden grip. 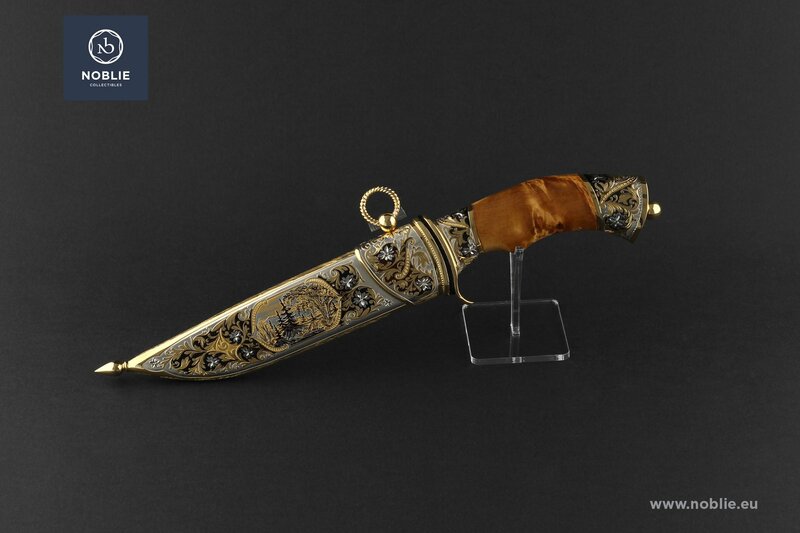 The scabbard is all-metal forged, made of brass, with decorative locket and suspension ring. A miniature of a bear running in the forest engraved on one side. Leaf and forest ornamental engraving on both sides. 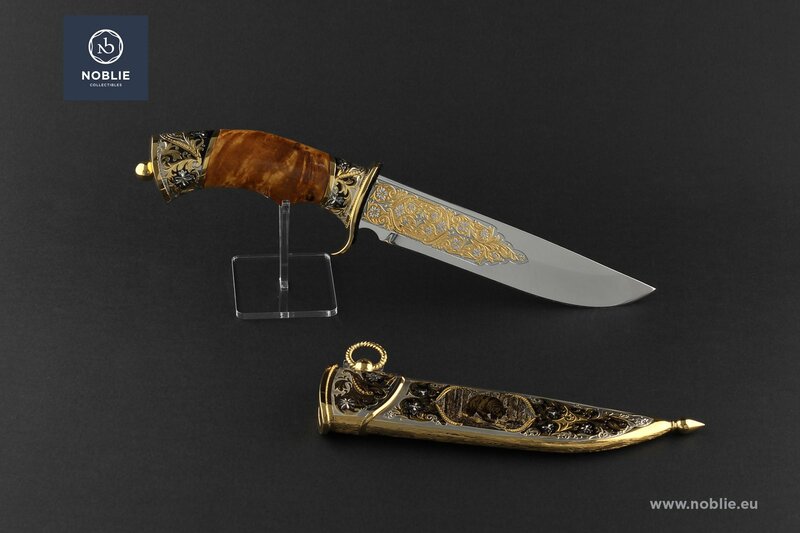 Knife "The battle of Grunwald"